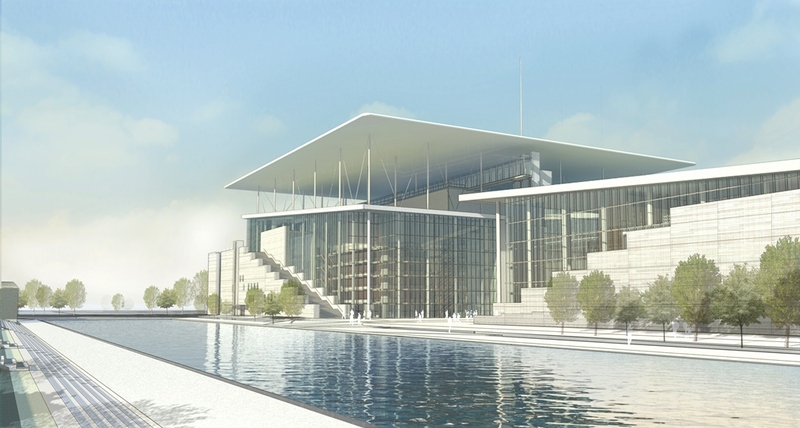 The Stavros Niarchos Foundation Cultural Centre is a significant project which will become the new home of the National Opera and National Library of Greece when complete in 2017. 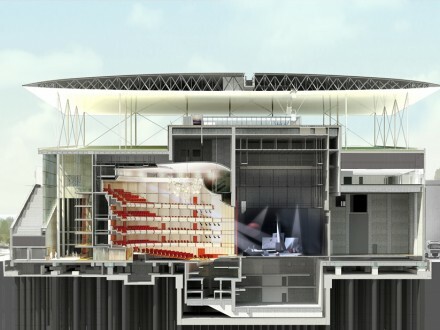 The scheme includes many exciting engineering aspects including a 100m x 100m ferrocement skin solar canopy which will generate electricity for all the buildings on site via photovoltaic panels located on the upper skin. 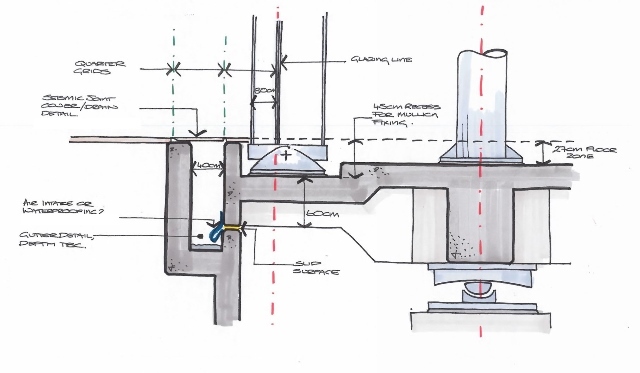 One aspect fundamental to the buildings’ engineering design, developed by Expedition Engineering, was how to ensure stability and robustness during an earthquake. Greece is one of the most seismically active countries in Europe, although Athens is less seismically active than much of Greece. 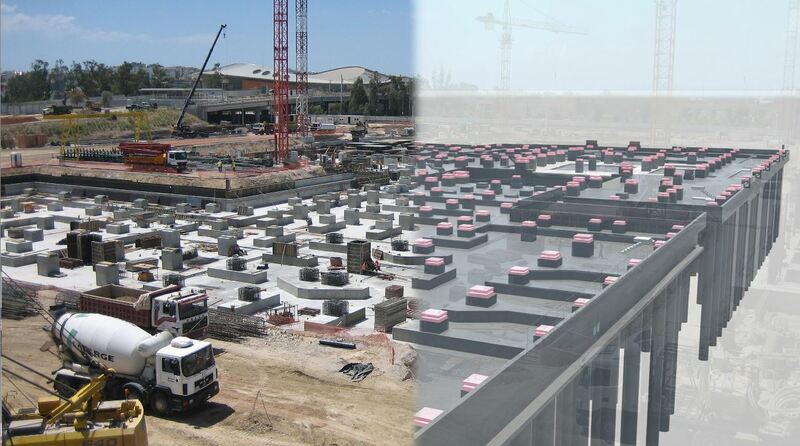 As such the design of the structure had to allow for the building to withstand sudden horizontal movements of the ground associated with earthquake events. 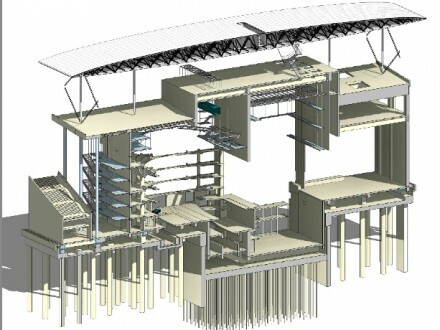 One key way in which the Opera House and Library superstructures are designed to achieve this is by being supported on seismic isolation bearings. 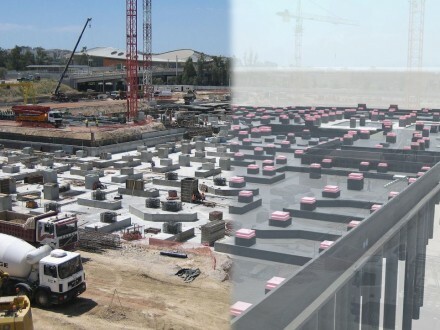 These bearings allow the ground to move horizontally with respect to the superstructure (structure above ground), which reduces the seismic loads applied to the superstructure in the design. The principle types of base isolation systems considered were: elastomeric bearings, steel spring bearings, and pendulum bearings. 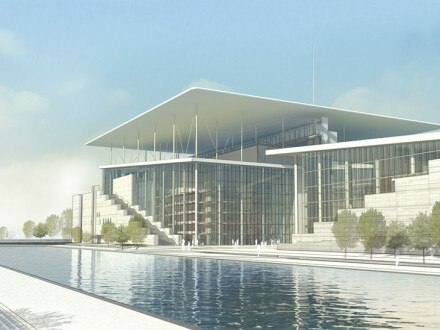 The last were selected because they provide greatest durability and longevity, and they are best suited for large live loads as a contribution to the overall vertical load, which is the case for a library and opera building. 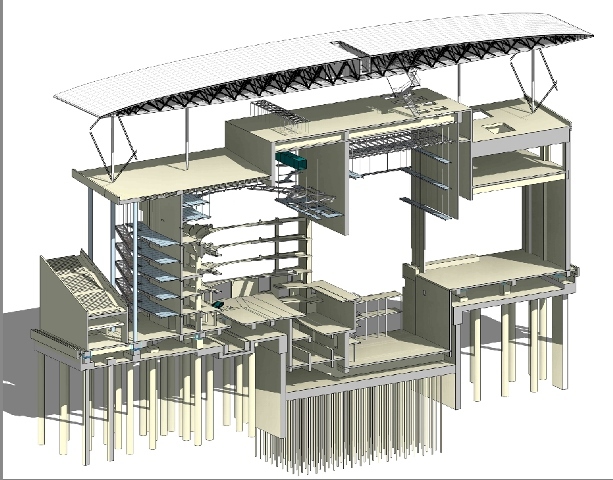 The seismic isolation bearings are contained in an under croft which extends across the whole of the footprint of the opera house and library, parts of the under croft are used to provide facilities for the performers, storage and plant. The design of the ferrocement canopy also has seismic considerations. As a lightweight structure, it reduces the weight located at the highest point of the structure. 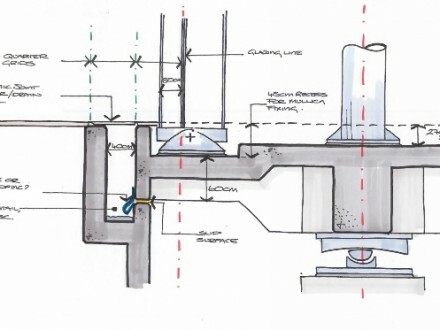 A heavier structure would contribute more in terms of the forces applied to the columns, isolators and foundations. 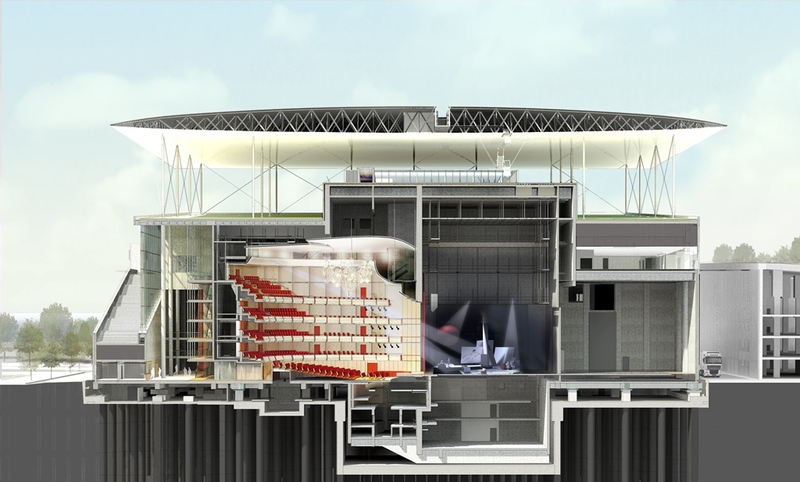 Click here to watch a short film describing the project. You can read about Expedition’s contribution to the project further here.